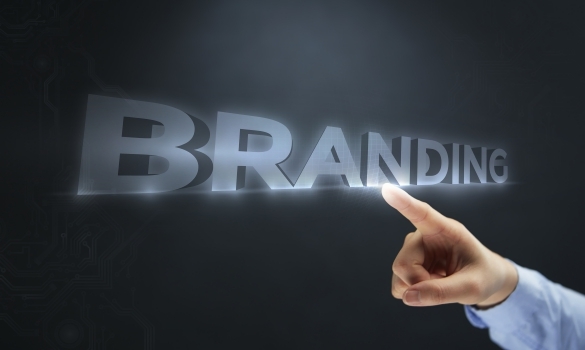 Naturally, as a marketing manager, one of your major concerns is the brand of your company. In today’s society, the number one location that clients will be able to see your brand most frequently is on social media networks. That means you probably want to know the best way to effectively convey your brand through social media. This post will give you some tips for social media branding so that you can do your job to the best of your ability. You know your company’s brand better than anyone else. Make sure to use that knowledge when choosing which platforms to open accounts with. If your company is all business and no play, a place like Vine would not really fit your branding since it is a social media network primarily used to create and view funny video clips. However, Facebook is a great decision for any business because it allows you to post whatever kind of content fits your brand best. It also provides the opportunity for paid advertising, which is a significant benefit. Keep your brand in mind when choosing which networks to sign up for. Use color to convey brand on social media. When developing a social media branding strategy, create a style guide to go with it. You want to choose a color scheme for your brand, whether you own a music business or a tech firm. Then, you should use that color scheme consistently throughout all your social media posts across all platforms. Color is an effective tool to convey brand online and off. You should definitely be using a brand style guide to depict a continuous, consistent color branding strategy with your business social media presence. No matter what type of social media branding you are trying to convey, no one will stick around to see it if your page fails to keep posts conversational. Social media is supposed to be social. It should be laid back and enjoyable for those that are interacting with your page. This is even true of influencer marketing. Keep this in mind whenever you post and make sure that whatever it is you are posting, the message sounds like a human wrote it. No one wants to talk to a robot, especially on a social media platform where people head to relax and pass the time. Remember to keep posts professional but also friendly and relatable. By keeping it real, you will be able to successfully convey and maintain your brand on social media. People that visit your social media accounts may not always read what you write, but they definitely see the pictures you post. This is important to remember when doing social media marketing and branding. Post pictures that represent your brand. You may want to consider the colors of the image, fonts used and the message the photo is sending. All of these aspects contribute to the way the photo conveys your business’ brand. Look each photo over carefully before posting to ensure that all these elements align with your brand. People who see the photo on social media may not even realize it is contributing to their opinion of a company, but you should. Always, keep in mind how important images are in successfully communicating your brand before hitting the post button. One last tip that is important to remember regardless of what company you work for – always be consistent in your posts. You need to be consistent in what you are posting on each individual network. But, you should also be consistent across platforms as well. Your account should successfully show the same branding no matter what network people are viewing it on. This does not necessarily mean you have to post the exact same things on each network, just maintain similar content. This is a tactic fast food industry companies use very well. Keep the branding of your business in mind at all times when posting so that you can ensure that the content being shared is consistent. Another crucial social media branding tip that gets forgotten when business owners are busy, which is pretty much always, is to post regularly to your business social media accounts. This is one of the habits of successful people on Instagram, Twitter and even YouTube. You will lose followers very quickly, and certainly not gain any, if you do not post quality, engaging content consistently. People follow many accounts, and if you do not post regularly, you will get lost in the depths of their newsfeeds. If you want to effectively use social media branding for your business, be sure to post regularly to every account. These are four expert tips to social media branding. If you keep these points in mind before creating accounts and posting content, you can guarantee that you will successfully maintain branding throughout various social media pages.